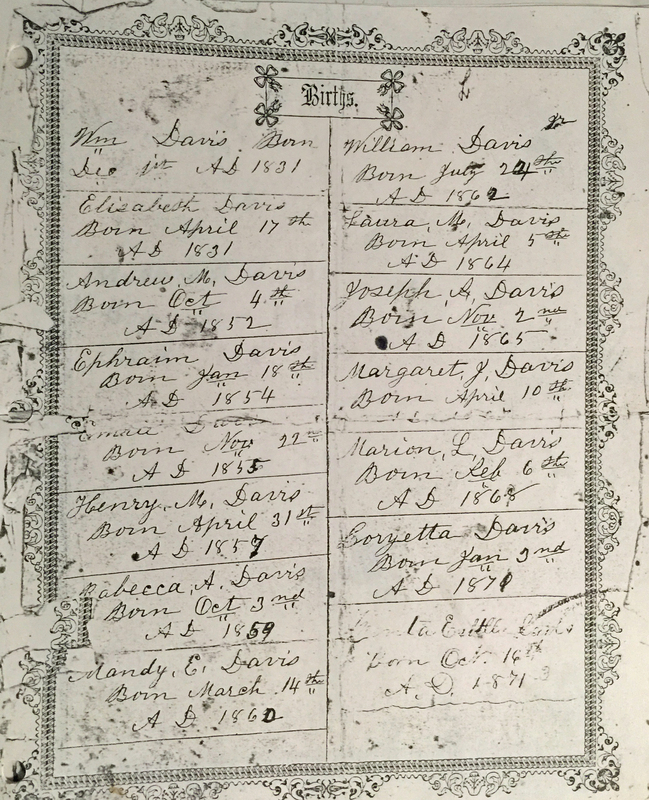 Here are (photos of copies of) pages from a Davis family Bible listing the births of parents William & Elizabeth Davis, and their 15 children, and the death of William. 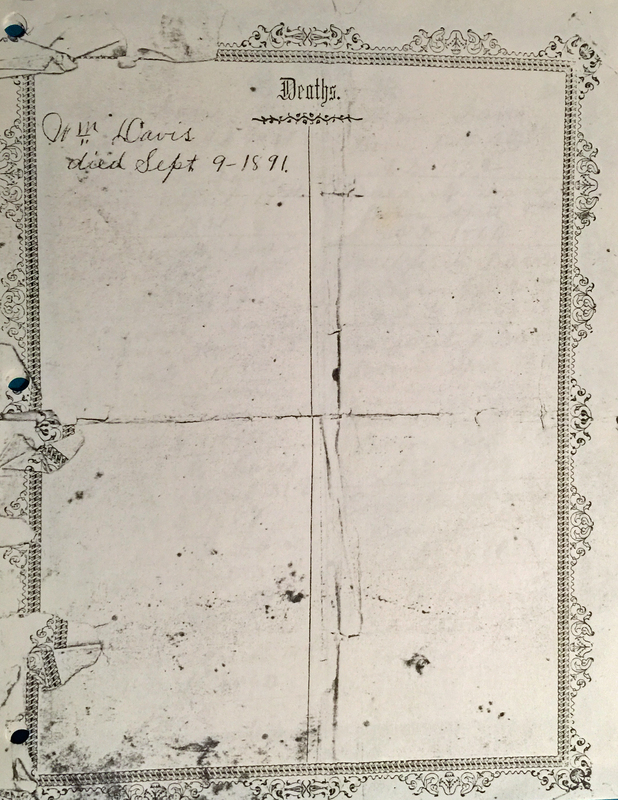 In many places there is writing over writing, so I suspect this wasn’t filled out as children were born. 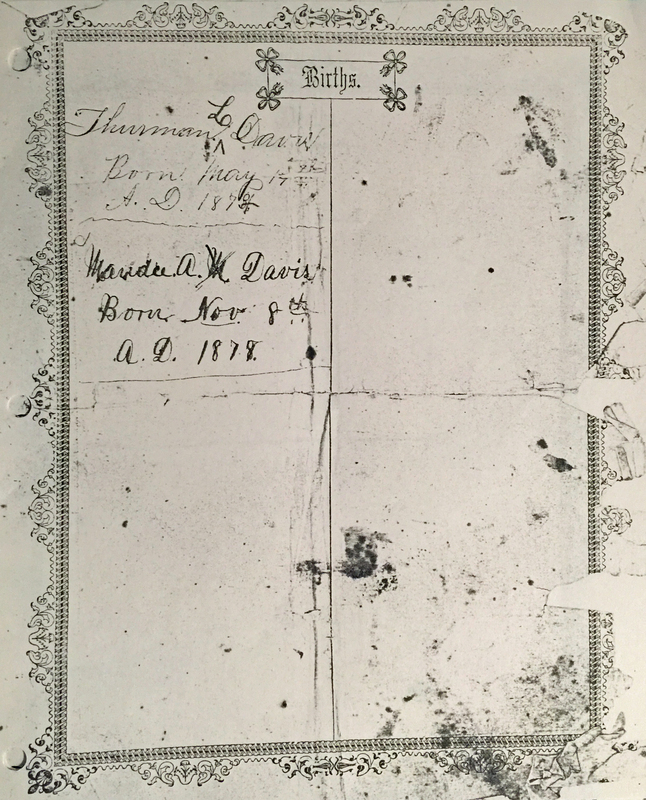 The birth dates for Henry Milton Davis says April 31st but his death certificate says May 30.